Should Hybrids Get Cheaper City Stickers? Chicago drivers of hybrids and electric cars could pay less in city sticker fees if a new proposal from 1st Ward Ald. Joe Moreno gets approved. Moreno said during Wednesday's City Council meeting he wants to increase sticker fees for gas-guzzling vehicles to raise $21 million for the city. Fuel-efficient cars would be exempt. 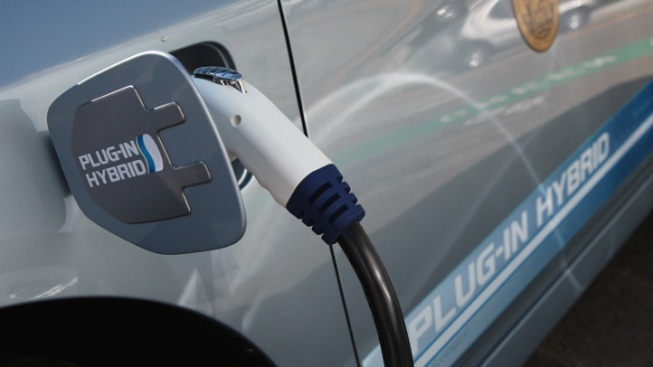 Small hybrids that currently pay $75 would pay $25, and electric cars would be free. Larger gas-fueled passenger vehicles, SUVs and ambulances, though, could pay up to $155 per sticker. A detached Mayor Richard Daley, whose last council meeting is scheduled for May 5, didn't comment one way or another on the proposal. "Up to them," he said. Moreno said the goal is to provide incentives for drivers to buy fuel-efficient cars in an age of high gas prices. The proposal's next step is the Finance Committee.